Displays a list of publicly traded Master Limited Partnerships (MLPs), with information about Dividends, Stock Performance, Implied Volatility (IV) Risk and Classification details. MLP's are limited partnerships, structured in a way to maximize distributions to their investors as pass-through income. Sort the table columns by clicking on column headings (for example, to sort highest/lowest: dividend yield, market cap, price change etc.). Use the Search box to filter the table by keyword (for example, type Pipeline in the search box and the table will display MLPs that have a category of Oil and Gas Pipeline). Click on the icons in the Symbols column to view more information on the specific stock. 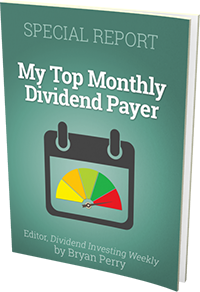 Click here to learn more about Dividends.